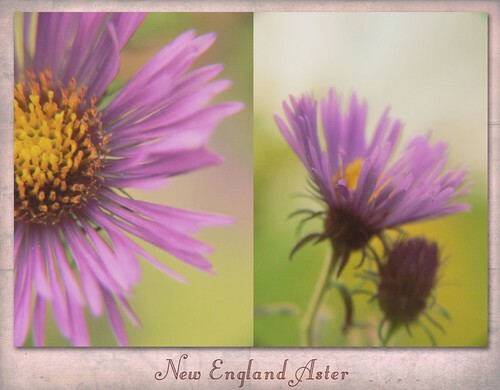 Great captures, your asters are beautiful! Enjoy your trip! These are really pretty! I love the soft focus on them. How lucky that they were right next door! I love that first double image - lovely! Your cats probably enjoy a day of cleaning about as much as mine do.....eeeeek! So pretty. I really enjoy the TTV shots. Have fun on your little trip and have a Happy Birthday. Lovely asters. Such a nice flower for outside and in arrangements. I love the color! Have a great trip. Purple is my favorite color!!! I love that I feel like I'm on my stomach looking at these great shots! Have a great Birthday! Wonderful to come home and find welcoming flowers! Your photos are great! Have a nice week! I grew some astors this year for the first time. Someone gave them to me and I didn't even know what they were until they bloomed. I like the color of yours. Oooo, can't wait to see the rest of the flowers. Yey! Off to check out more of it! These are so lovely! And they seem to be very abundant. Great shots. As with most things in life, perspective holds all the keys for appreciating true beauty. hello and goodbye ~ hope your trip is fun and I totally agree with the whole cleaning your house before you go. lovely ttv shot, sometimes I wish mine wasn't as dusty and dirty. I think I prefer the soft look you've got going on here. These purple Asters are beautiful indeed. I hope you enjoy your trip. Very beautiful, especially the TtV one! The asters are so delicate and beautiful. I'm the same way about wanting a clean house when I leave town (or as clean as it ever is since I'm not big on cleaning). Wonderful post in TODAY'S FLOWERS! Luiz & Denise - Today's Flowers Team. Beautifully captured! Enjoy your trip. 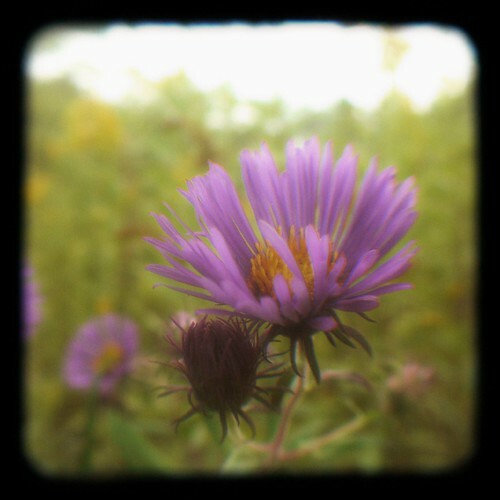 your aster ttv... oh my, i´m so impressed again!!! Amazing photos as always - so refreshing! Beautiful pairing. I really like the composition! Thanks for sharing your diptychs!